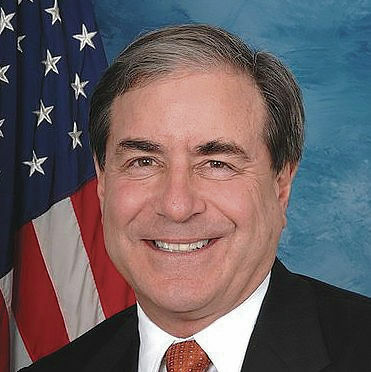 Rep. John Yarmuth, D-Ky., is the ranking member on the House Budget Committee. This article first appeared in CQ. We begin the 2018 budget process facing arbitrary and irresponsible spending caps that threaten our security, our economy, and our nation’s standing as a global leader of research and innovation. Yet, the budget proposal put forth by President Donald Trump on Tuesday does not respond to this simple truth. In fact, it will take our country in the opposite direction. I’ve also been hearing from countless people outside the halls of Congress who are alarmed by the essential programs targeted for cuts under the president’s preliminary budget. I agree with them that cutting funding for health research, environmental protection, housing programs and diplomacy initiatives, to name a few, is damaging and wrong. Just how dire is the situation for non-defense programs? Even before the president’s additional cuts, the non-defense discretionary spending limit for 2018 is $2 billion less than it was in 2016, in nominal terms. But that 2018 level represents a more significant cut to purchasing power. If the inflation rate turns out to be what the Congressional Budget Office projects, the 2018 cap represents a reduction of nearly $30 billion compared with 2016. As a percentage of the economy, funding for these programs would match the lowest levels since the Eisenhower Administration. We need to get to work on a new agreement to make investments that will pay off now and in the future; investments that will create economic growth — including infrastructure, education, and scientific research — and protect our national security. Each time that austerity level caps have been place, we have reached bipartisan agreements to mitigate them based on the principle of parity — increasing defense and nondefense programs by the same amount. As Republicans in Congress determine how they will deal with the budget caps this year, I hope they will remember that national security and economic security are intertwined. We have the responsibility — and the opportunity — to invest in both nondefense and defense spending, boost economic development, and guarantee that every American family has the chance to build a better future. As former CBO Director Doug Elmendorf recently pointed out in our Facebook Live conversation, it’s particularly wise to fund these needs now, when interest rates are low, and we can maximize the return on these investments. We should not let politics stand in the way, particularly when we have already demonstrated an ability to work together this congressional session. Earlier this month, the House and Senate finished the spending bills for fiscal 2017. The legislation was the product of bipartisan negotiations, responsible compromises on both sides of the aisle, and was approved with strong bipartisan support. We need to summon that governing attitude again. Just as we’ve raised the caps on a bipartisan basis before, if we value the strength of our nation, we must raise them again. If we care about the long-term success of our country and our people, we cannot shortchange the next generation by leaving behind an ill-prepared workforce, a crumbling infrastructure, and a stagnant economy. The United States has always been the global leader of new research and discovery, a driver of innovation and new industry. It is unacceptable to abandon that now.